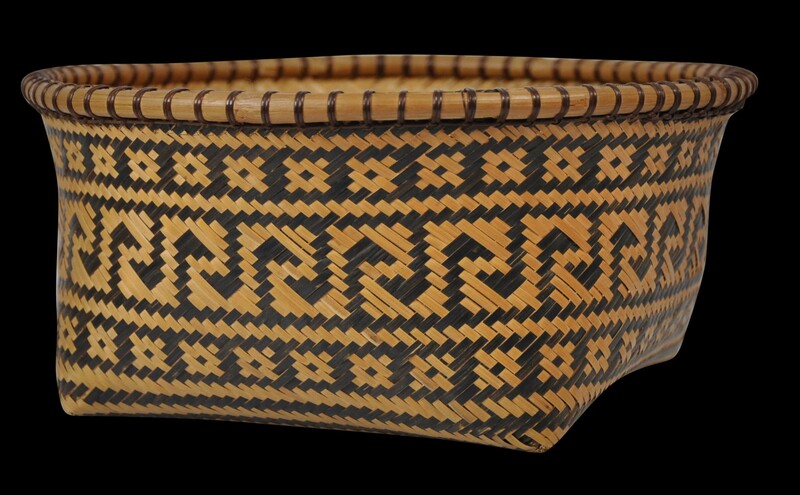 collected by Alwyn Sidney Haynes (1878-1963), and thence by descent. Haynes was a colonial administrator in Malaya and the Straits Settlements between 1901 and 1934. He held many posts including Acting British Resident, Pahang (1924); British Resident, Perak (1925); British Advisor, Kedah (1925); British Advisor, Kelantan (1930); and Acting Colonial Administrator, Straits Settlements (1933), after which he retired and returned to England, and lived near Stratford-upon-Avon, and then in Leamington Spa. 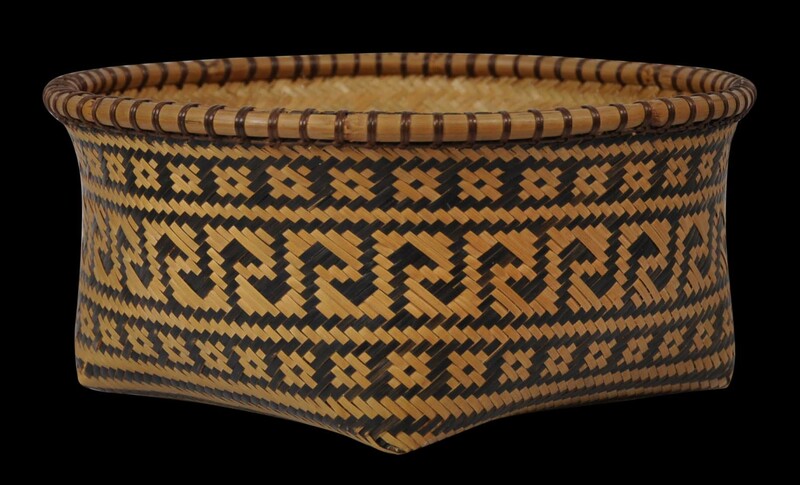 Haynes loaned some of the items he collected in Malaya to the Pitt Rivers Museum in Oxford in 1939. He was awarded an Order of the British Empire (OBE) in 1950. 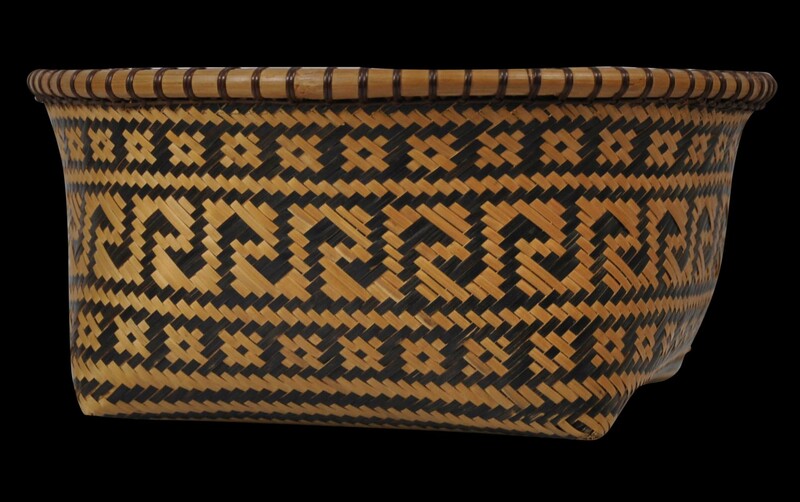 This fine, decorative basket was collected around 1930 or earlier by a colonial administrator who served on the Malay Peninsula. 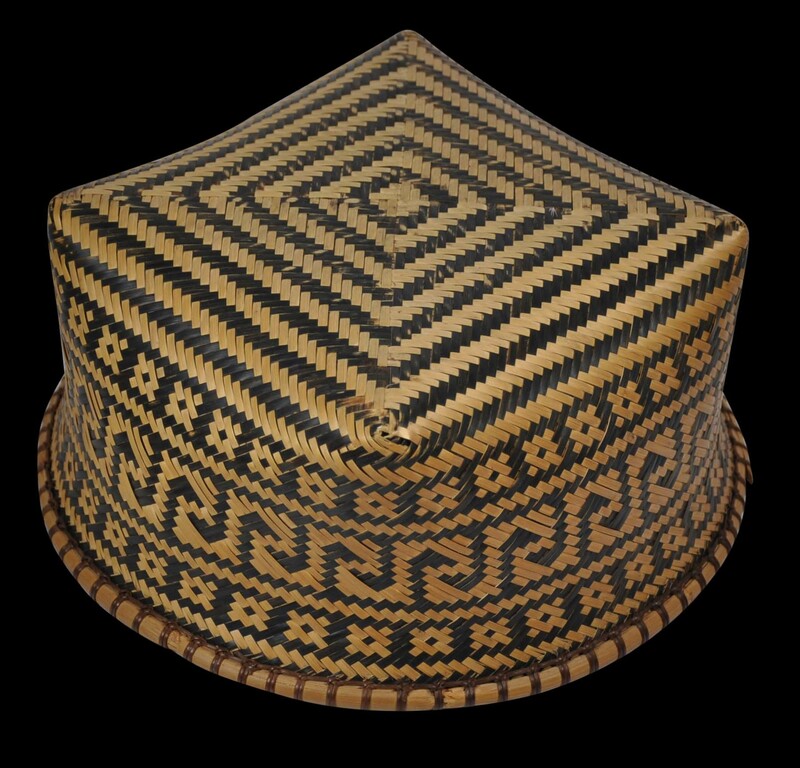 It has a round top and a square base, and has been woven from light and dyed dark bamboo strips in geometric patterns reminiscent of basketry work undertaken by the Iban and Dayak peoples of Borneo. It has a thicker bamboo rim for support and structure. 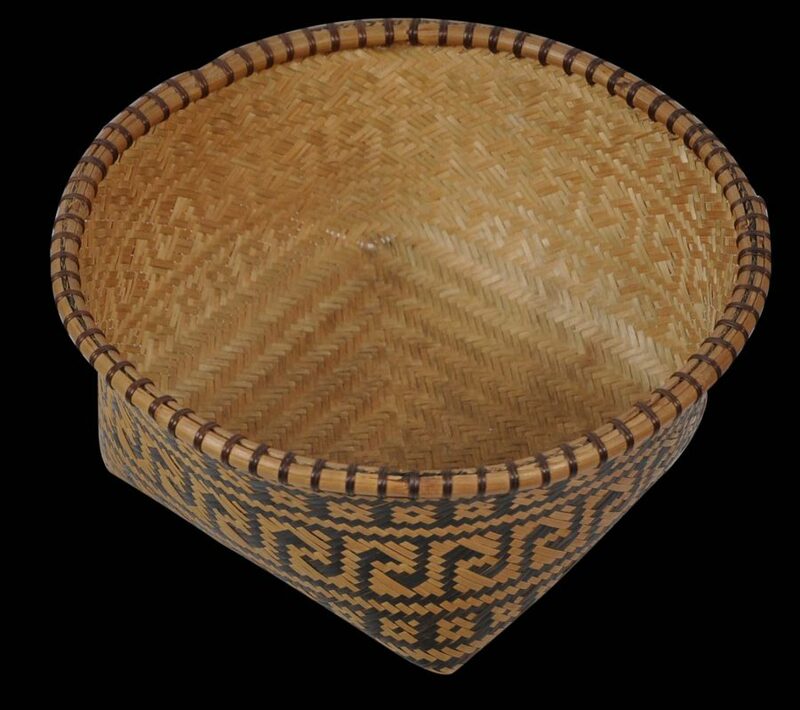 Basket work was still being done on the Malay Peninsula in the 20th century by Malay women working in Kelantan, Terengganu, Pahang, Malacca and Kedah. 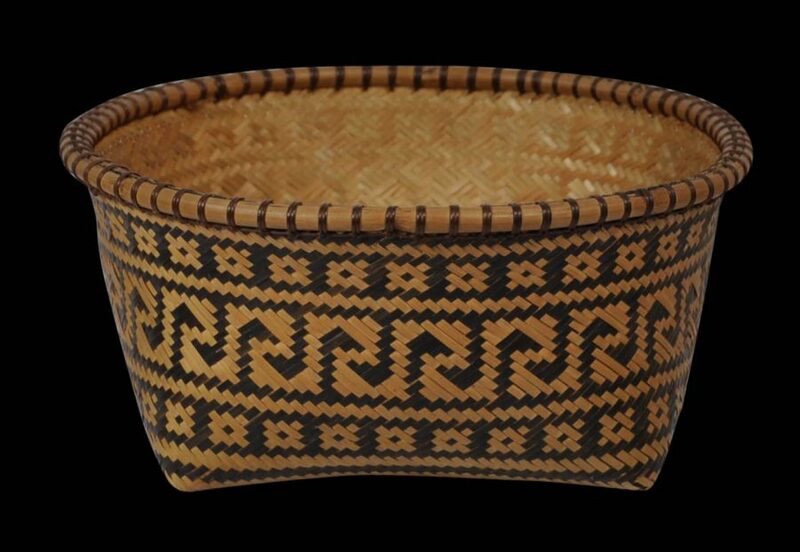 It is probable that this basket is from Kelantan on the Malay Peninsula’s east coast, with the contrasting dark and light coloured weaving being known as pelupoh work, this technique being favoured in Kelantan. The basket is in fine condition. There is minor wear to the extremities of the corners of the base, but otherwise has a lustrous patina and obvious age. There are no losses, loose strands, or repairs. ‘An Exhibition of Malay Arts and Crafts’, organised by the Malayan Agri-Horticultural Association, March 28-30, 1952. Lau, A.T. & B. Platzdasch (eds. ), Malay Heritage of Singapore, Suntree Media/Malay Heritage Foundation Singapore, 2010. Malaysian Traditional Crafts, Urban Council, Hong Kong, 1981. Sellato, B. (ed. 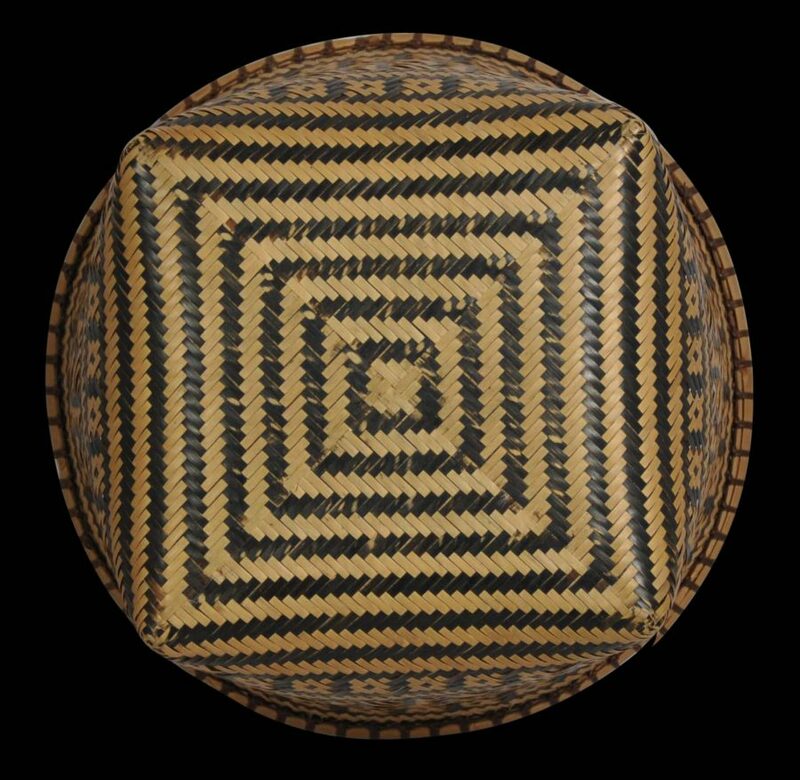 ), Plaited Arts from the Borneo Rainforest, NIAS Press, 2012.